There are a variety of methods whereby you can pay for long term care. However, take heed with Medicare, as Medicare does not pay for long term care in most cases. 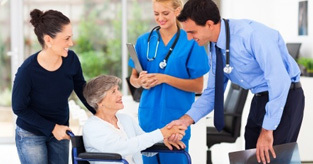 Typically, Medicare only covers skilled nursing facility or home health care deemed necessary from a medical point of view, and certain conditions must be met. Long term assistance with daily activities like dressing, bathing and using the bathroom is not covered. Medicaid in California, on the other hand, covers certain long term health services and nursing home care for the elderly who have low incomes and limited assets, as well as some services at home and in the community. Eligibility and the services that are covered vary from state to state. Eligibility is typically determined by income and personal resources. To find out more about Medicaid and your other long term care coverage options, obtain a free quote from our quote engine. A licensed agent will follow up with you to discuss the plans that would best suit your budget and needs.